Alice A. Hartley, 89, of Robinson Way, West Warwick, RI, passed away on Monday, August 20, 2018 at RI Hospital, Providence, RI. Born in Coventry, RI, she was the wife of the late William S. Hartley, Sr., Gus LaPorte and Leo LaPorte. She was the daughter of the late Wilfred and Eugenie (Plante) Caya. Alice was an assembly worker for Amtrol, West Warwick, RI, for many years before retiring in 1998. 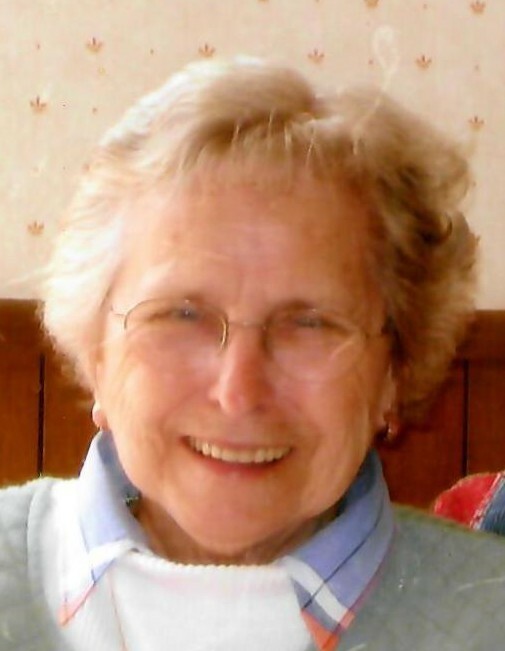 She was active with the Coventry Senior Center for twenty years, loved gardening, playing cards, sewing, yard sales but most of all loved her family. Alice is survived by a son; Leo J. Laporte and his wife Mary Jane, two daughters; Alice F. Butera and her husband Ronald and Jeanne D. Sitts, a stepson; Roland LaPorte, eleven grandchildren and sixteen great grandchildren. She was predeceased by a late son; Paul LaPorte, six brothers; Wilfred Caya, Lionel Caya, Leo Caya, Charles Caya, George Caya and Robert Caya and three sisters; Jeannette Golomb, Sister Cecile Imelda and Eva Siembab. A funeral will be held on Saturday, August 25, 2018 at 9:00 am from the Gorton-Menard Funeral Home & Crematory, 721 Washington Street, Coventry, RI, with a Mass of Christian Burial at 10:00 am in Christ the King Church, 124 Legris Avenue, West Warwick, RI. Calling hours will be held on Friday, August 24, 2018 from 4:00 to 7:00 pm. Burial will be in St. Joseph’s Cemetery, West Warwick, RI. In lieu of flowers donations in her memory can be made to the Coventry Senior Center, 1372 Main Street, Coventry, RI 02816.